I painted this for Scott for his birthday – oil on canvas panel. I think part of it got cut off when he scanned it for me. Oops. 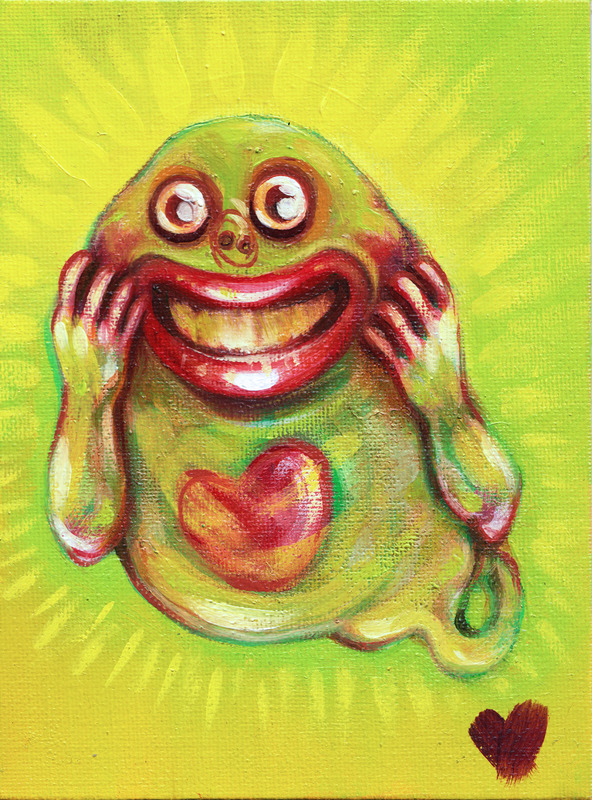 In case you can’t tell, it’s a Slimer. Yup.